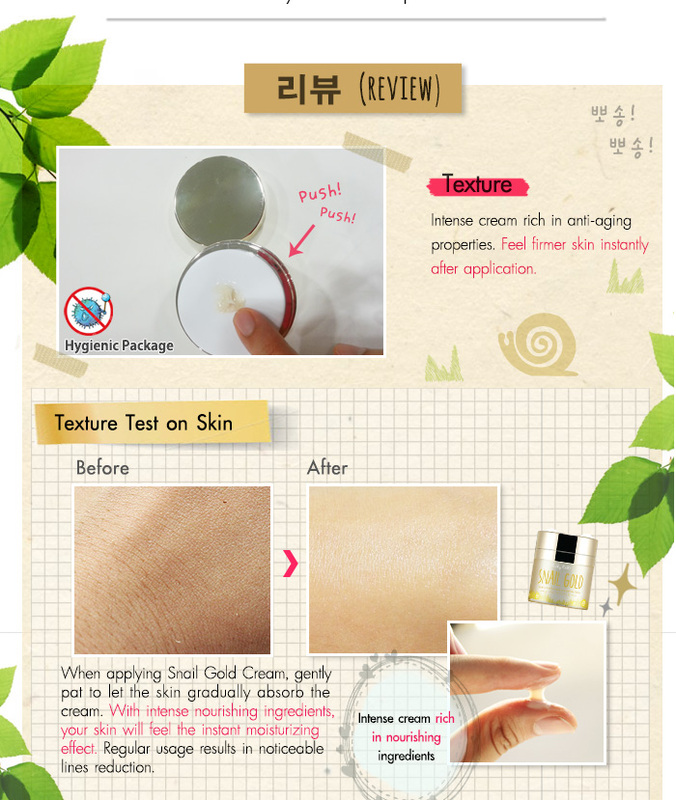 This potent mix of pure gold and snail slime stimulates collagen and elastin production in order to instantly revitalize your skin! This guarantees a youthful look that simply gets better with each day! This potent mix of pure gold and snail slime stimulates collagen and elastin production in order to instantly revitalize your skin! This guarantees a youthful look that simply gets better with each day! Get it now and start improving the general aspect of your skin while you accelerates the skin cell renewal process. 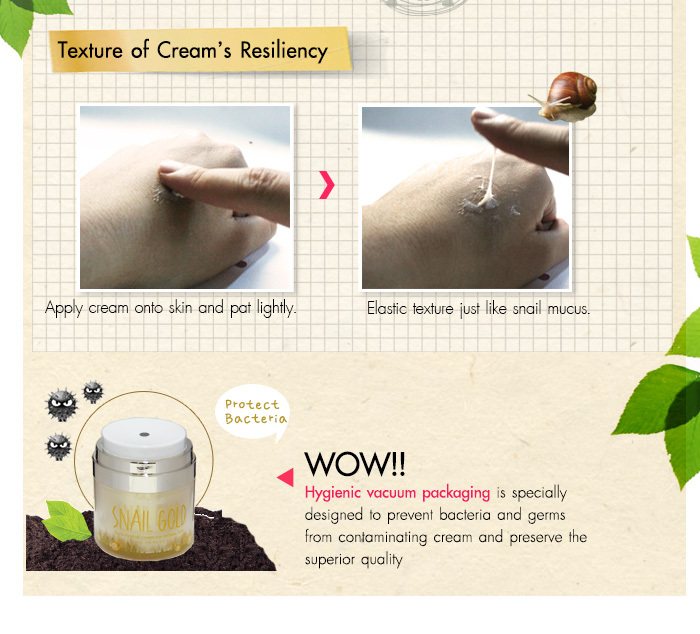 The Snail Gold Firming Cream for Wrinkle Skin is nothing but the fountain of youth in a jar!